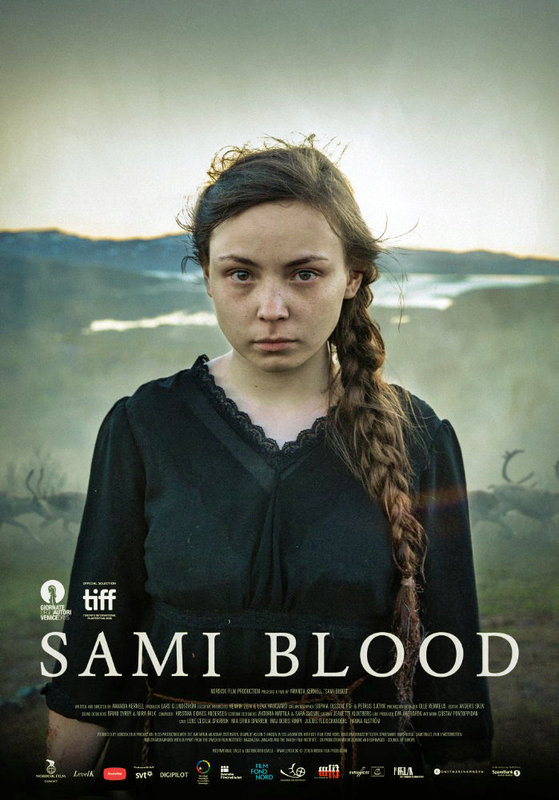 Sami Blood -- the first film from Sweden made partially in the south Sami language and depicting the sad history of the Sami people - was a daunting responsibility for first-time filmmaker Amanda Kernell to take on. In the 1930s, the indigenous Sami people were restricted by the Swedish government, educated in boarding schools (where they were considered an inferior race), and forced to undergo dehumanizing biological studies. 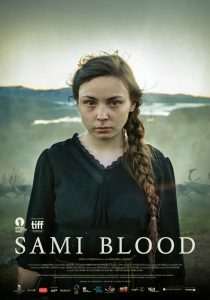 Sami Blood is a documentation of this sad history, told as a family tragedy about the separation of two sisters coming of age at the time and psychological damage both endure. 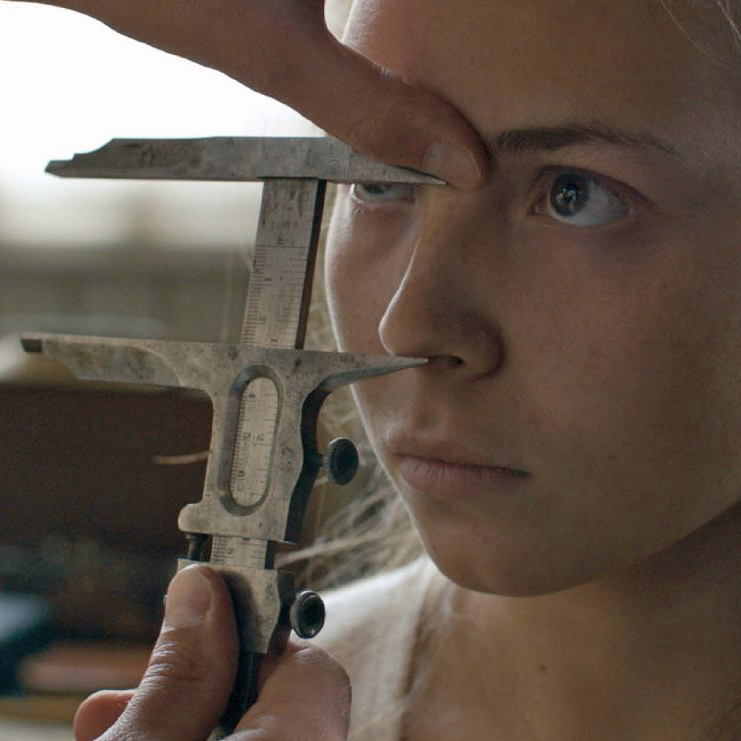 Kernell, part Sami herself, took the responsibilities of making the film to heart, doing meticulous research and personal histories, to tell a story of the Sami history that reflects on the all too universal themes of systematic racism and discrimination. Lesley Coffin: Reading a little about the film I understand the film was somewhat inspired by your grandmother’s experiences at this time. What elements did you pull from her life? Amanda Kernell: This part of history is still an open wound so I try not speak specifically about her and allow her to be anonymous. But there are people in my family who strongly reject the Sami people and their culture. They now speak Swedish, even though Sami was their first and only language when they grew up. They grew up with nomadic reindeer herding, but went to the national schools where Sami language wasn’t allowed. And many people from that generation left the Sami culture behind completely, they changed their lifestyles and their names. And there are many people who don’t even realize they come from a Sami family. The politics of the time was to keep the Sami culture confined to one area, based on these race theories about Sami people were inferior because of things like their shorter foreheads, and if they went to the national schools they had to abandon their Sami culture and heritage. Lesley Coffin: Because this sad point in history is kept out of the history books, was it challenging to do research? Amanda Kernell: We didn’t learn anything about this in schools, we read maybe one sentence about indigenous people and that was it. But being from a Sami family myself, it was very important to my father that we learn the language, the music, the culture, our history. He wanted us to know our traditions, like reindeer herding. The whole mindset. So for me, I knew of the Sami culture that was being repressed. As for getting people to talk about this time, a lot of people in my familiar are great storytellers. A few did leave, but most are still reindeer herding and all these elders were very supportive of telling me their memories. The film is of course fiction and I wanted to tell a story about two sisters. But I wanted the details to be right, and this part of our history hasn’t been told on film before, and isn’t taught in schools. So I wanted the right songs and to use the real instruments. I read the instructional book on how they measured heads. But most importantly I wanted to capture memories because the films really about the things they remember. What do those who left and never came back remember and miss? What was their sacrifice? It’s also important to show that these people were being oppressed and told not to show their pain, so there was difficulty getting people to talk about the hard or difficult things they experienced. Everyone’s brought up not to complain or cry, we are just supposed to stay quiet and move on. Lesley Coffin: Did you start the film in the present day and flashback because of that desire to make the film into a memory? 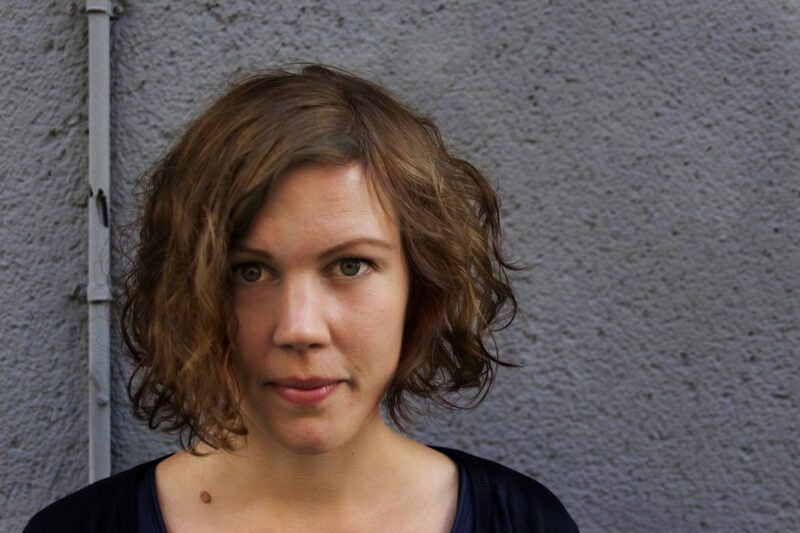 Amanda Kernell: It may be because I wanted the film to be a declaration of love for this older generation, and I’ve always been intrigued by why some of them left. What happened that made them make this radical decision. What could make a person cut all ties with their past, their families, and their culture? And I wanted to start the film with someone from that generation who did that, because they are those silent, strong people I mentioned. People from that generation are often good storytellers, but find those painful times hard to put into words. But maybe the things they can’t put into words we could show on screen. But the only way to do that would be if we were in the presence of someone from that generation. So we start with an older woman who doesn’t explain much and clearly has a lot of secrets. I started work on this film thinking the film was about shame, the shame a woman like that lives with. But a few days before shooting I realized that an abstract idea to try to film, and then after we filmed it, I thought the film was more about dignity. I had to make the film to realize the film’s about dignity and asking how you keep your dignity in a society and system that sees you as inferior. Lesley Coffin: I can’t imagine asking the young women in the film to play those moments where they’re being exposed to so much negativity aimed at who they are and seeing this attempt to destroy their sense of self-worth and dignity. What was it like directing them in those scenes? Amanda Kernell: The two girls are real sisters and Lene said it would be difficult for her to play a character who rejects her culture that way. Because she never would. The times are so different now, she’s allowed to have great pride and works in reindeer herding now, and has no desire to leave. So in that sense, it was hard for her to understand the mindset that had existed. But they are also just like most teenage girls and they know that feeling of wanting to be like someone else or not liking the body they have. They understand being different because they’ve been at the pool in their bathing suit and felt that awkwardness all teenage girls feel. Everyone’s felt like they weren’t happy with who they were and internalize that discomfort, it wasn’t that far from what they know. And they also grew up in boarding schools, although the schools are very different now, but they know you have to stay strong and can’t show weakness. No one will come and get you if you cry. And when Lene got the part, she said she wanted to do it but she couldn’t cry, if I wanted someone to cry I’d have to get someone else for the part. But I wanted someone who has that sense of dignity and pride, the Katniss Everdeen of reindeer herders. People had to believe she had the strength to go through everything, but questing if it also might be a betrayal to leave her sister behind. Lesley Coffin: Were you looking for real life sisters for the roles? Amanda Kernell: No one really comes for auditions, you have to drive around and call people. It’s not like LA, but some of that is also because of the way Sami people have been portrayed on screen before. Their depictions are very similar to how Native Americans have been depicted on screen in Hollywood films. So it was understandable that many Sami people are hesitant to participate, which is why it was important that I come from that culture as well, so they knew they could trust me and it wouldn’t be exploitative. All the Sami people are played by Sami people and some of the Swedish people are also played by Sami people. But the majority of people in the film did it because they wanted the story told, not because they want to be actors. The girls are really sisters, their grandmother plays their grandmother, and their godfather plays their grandfather. And that whole family’s just the best. I wanted sisters, I wanted girls who came from reindeer herders, and spoke south Sami language. There are only 500 fluent speakers and is one of the most threatened languages according to the UN. I feared it would be impossible to find a fluent speaker, and to act in a language you learn phonetically is hard. It’s best to act in the language of your heart. So there were very few people to choose from, and we also needed young women with the strength and dignity to play the roles. But someone told me early on that if I’m looking for a Sami Katniss, you should meet Lene. And I had to convince her to come see me, because she already had her life planned out.